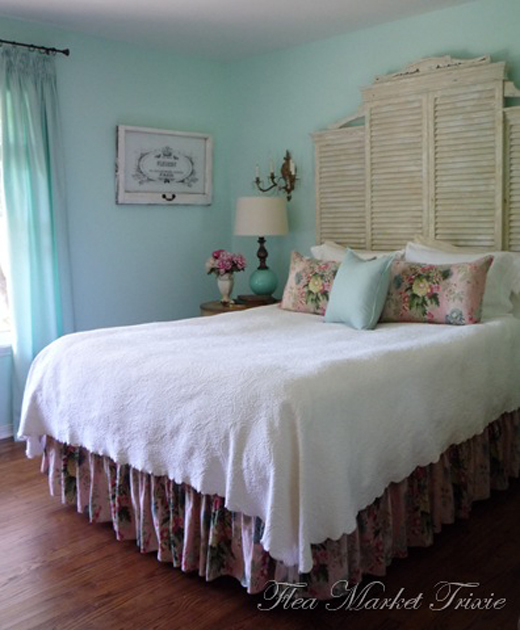 When it come to cottage decor and turquoise, no ones does it better than Flea Market Trixie! 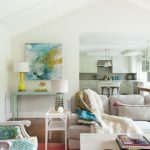 Her home is so fresh, so lovely, and so darn cozy, with fun vintage touches that I just adore! 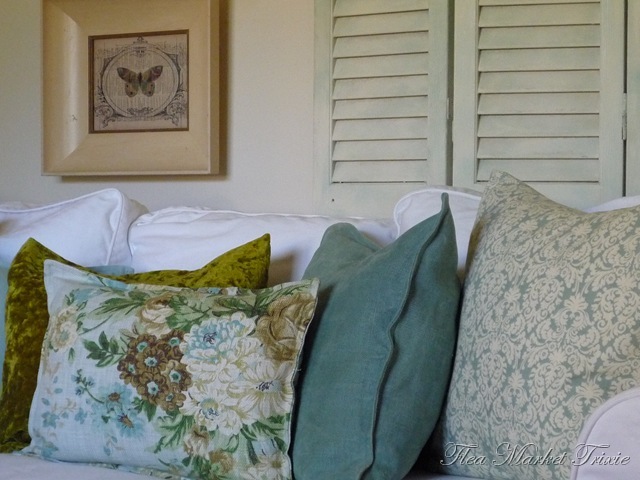 The colors alone make me swoon, but the way she mixes pattern is a delight to the eye. Don’t you love her kitchen?! (It’s seen quite the transformation, read all about it here!) That eating nook couldn’t be any cuter! 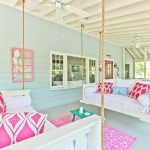 If you love her style as much as I do, then I’m certain you’ll love her new online store full of vintage-inspired home decor–with plenty of turquoise to go around! 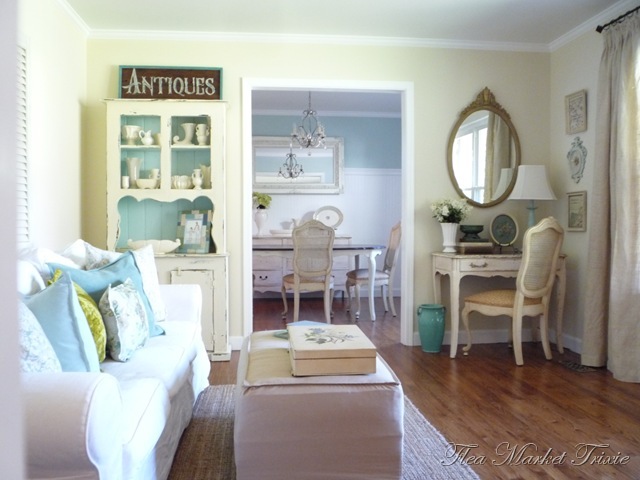 To learn all about her lovely home above, visit her blog here! I am LOVING that kitchen! The mirror hanging in the middle of the two windows is super unexpected and I love it! Thanks for sharing this beautiful home! Que linda essa casa, todos os ambientes estão perfeitos. Esse tecidos floridos estão belíssimo. Great post! 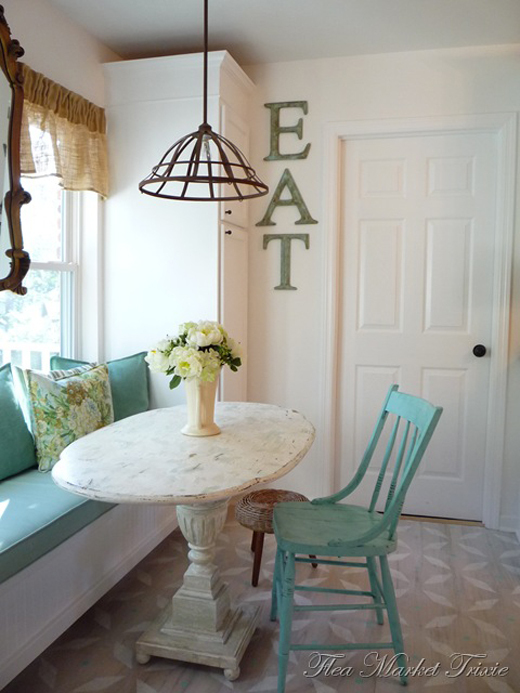 love the little eating nook, the bedside wall lights and so much more! Gorgeous. 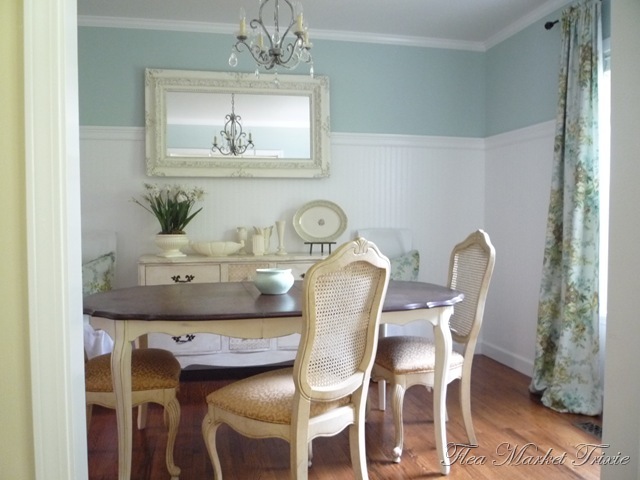 Do you know if the bead board is actual board or the paintable wallpaper? It looks so real! 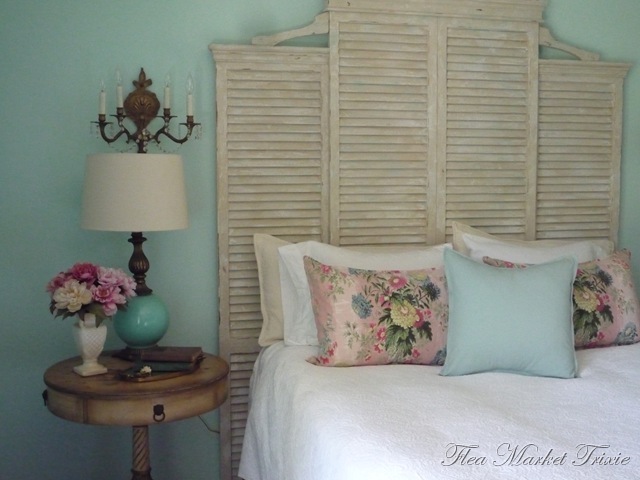 But I dug around her blog and I think it is the wallpaper kind! 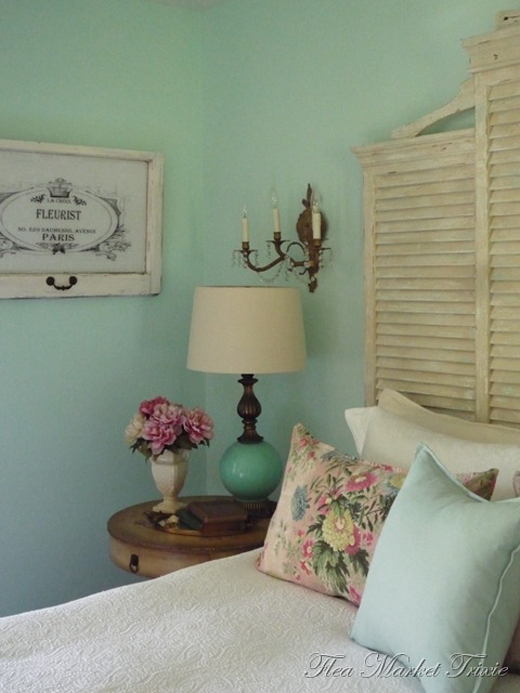 I love the shabby chic quality of these room. They're so elegant yet unassuming! 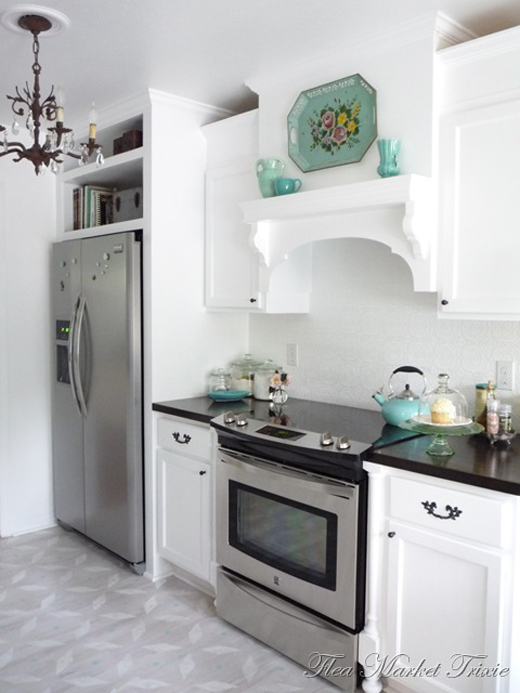 Love her house, discovered her in BH&G where they featured that very cute kitchen. 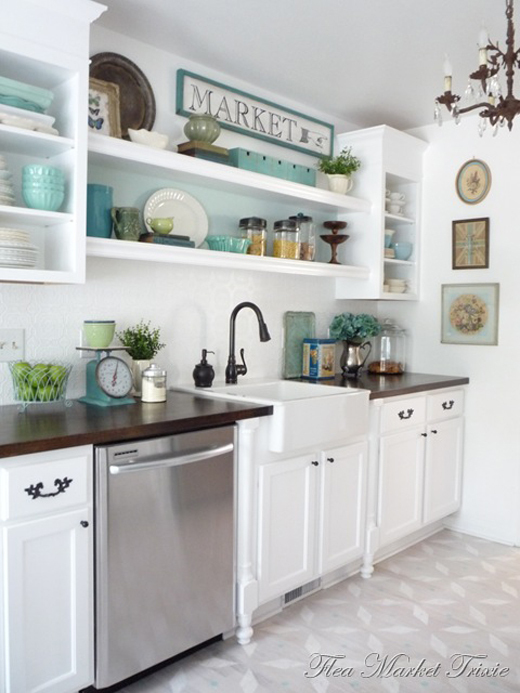 Love the shelves, all the turquoise touches and the hood over the stove, great touches that give it such character. And it looks totally different when she decorated it for Halloween. Been perusing her blog. 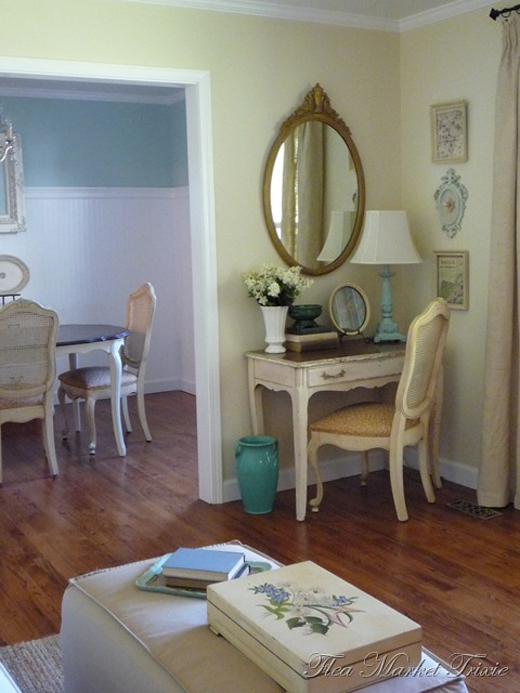 Thanks Erin, I've always loved her spaces since the beginning of Rate My Space, sigh! 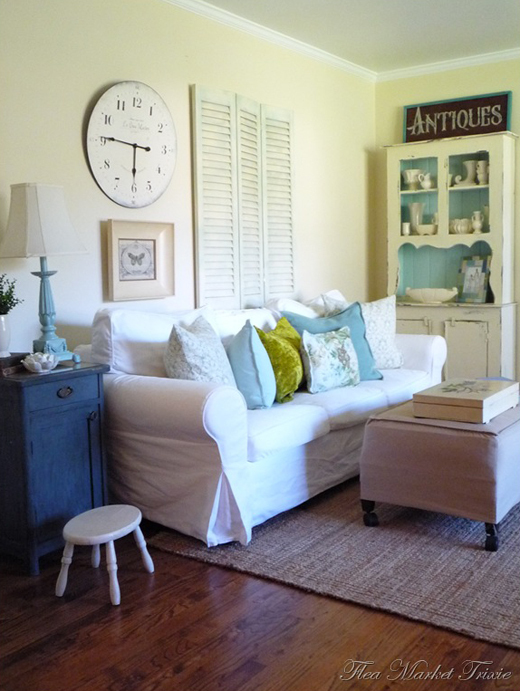 Very cute home with some great low-cost ideas. Thanks for the inspiration! 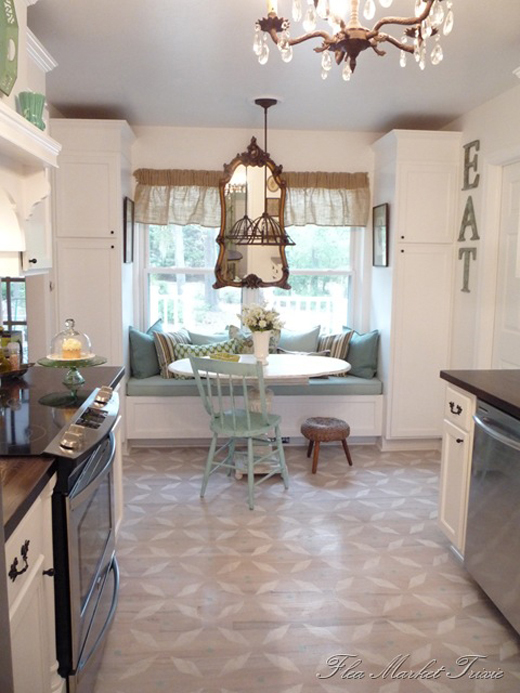 The second photo with the toile tray over the stove – Umm Hmmm!!!! Gorgeous. I could live and die happily in that cottage. 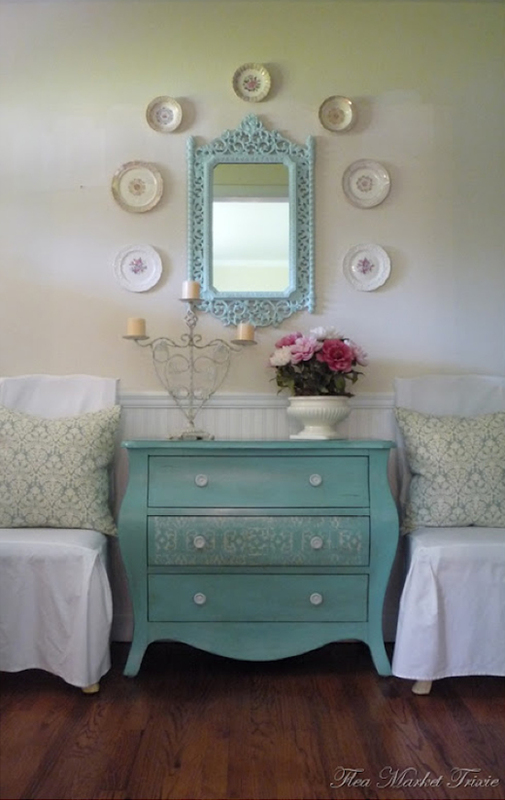 This is SO awesoome…modern with alittle vintage AND of course lots of turquoise…YUM!!! 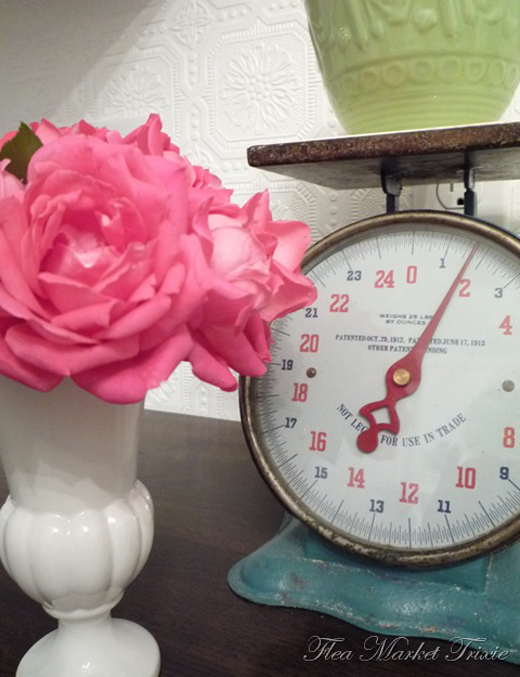 You just have the prettiest blog ever…such nice photos I love it!! Love the kitchen! Those floors are fabulous and so unique! Thanks for sharing! Oh, that kitchen! Love! Thanks for the links so we can see/read even more. You're the best, Erin! I love, love, love this whole place! This is the third time I have come back to your site to look at it again. And I have gone to Trixie's pages to see more. Thank you for posting this house, it is one of the very best!